One of my favourite lines from a games show we used to watch in the UK is “I’ve started so I’ll finish”. This said by the host after the buzzer interrupted his question. But me, I have got so many things started and unfinished (yep still only halfway there!). Today the thing that I am thinking about is my reading. In the very busy early days with the girls, I have found that the easiest things for me to read were blogs or magazines, where the articles don’t demand too much of my time and I can get some intellectual stimulation in very manageable pieces. But I had been missing reading, so I found a few books that have a more manageable format. But I have found that instead of finishing, I now have a pile of books that I am halfway through. So I have no ideas really, just a sense of feeling a little overwhelmed by a pile of books. PS – If you knew how many times I was interrupted just writing this post! I’m amazed I even got this finished! I know!!! I’m trying to change the rules of the game: 100 points for reading a book from cover to cover, 99 points for skimming through a book, 99 points for each book sitting on my shelf of which I’ve read at least one chapter and 10 points for each time I even try to read a book. Now do you feel like a winner?! Love the idea of a regular post, but think I should also cover books I have bought but never read, and books that I really want to buy, but haven’t got around to yet! I have a ton of books that I haven’t even started. I thought I would play grown-up and buy the current, popular books — and yet they haven’t even been opened. Sad. 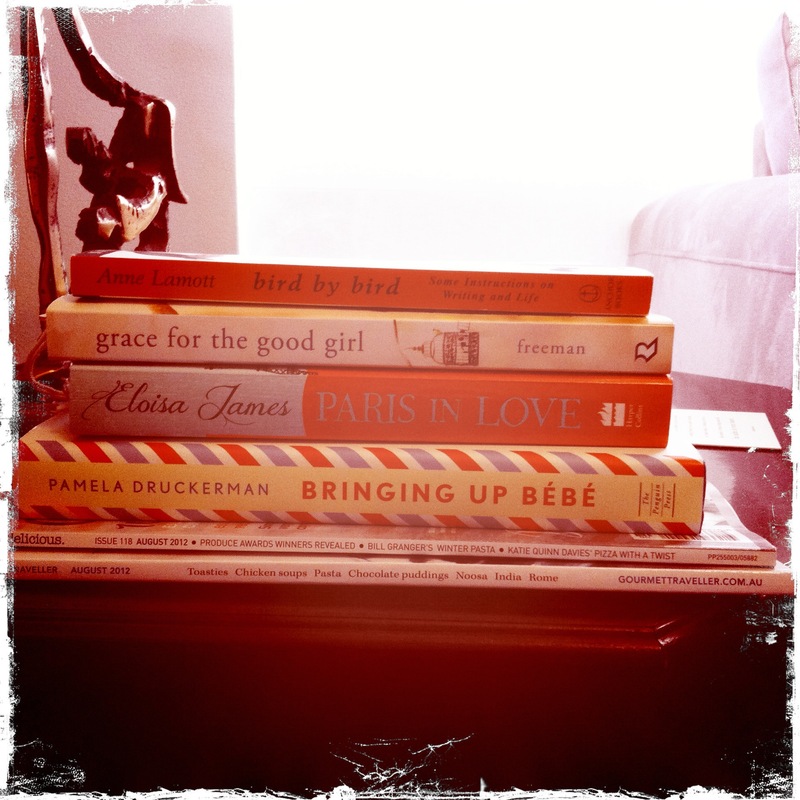 Yes Naomi, that brings into play a whole new post of books that I should buy because they are (maybe) good for me.